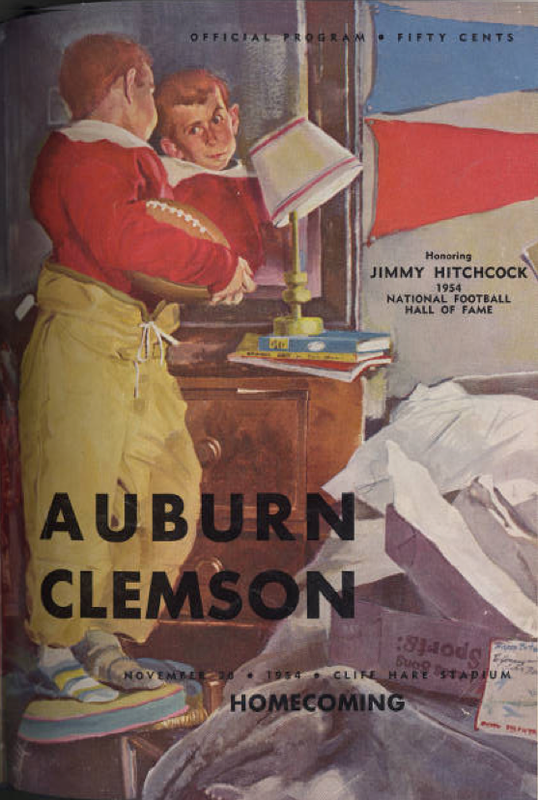 Before Phil Neel saved Auburn program covers in 1959, art used was stock stuff selected from catalogs of Rockwell wannabes (if it was selected—at least by Auburn and not whoever was working that shift at the printers—at all: recall the identical nightmare of the Bama and Clemson covers from 1955), cave drawings, really, in comparison (except the cover of the program for the 1949 Galactic Championship—that’s almost Dadaist or something). But celebrate it we must, lack of uniqueness notwithstanding, for the word “Auburn” remains high art (even higher next to the Wizard of Oz munchkin on the 1954 cover), no matter how or who put it to paper. And it is Clemson week. And it is what we do. 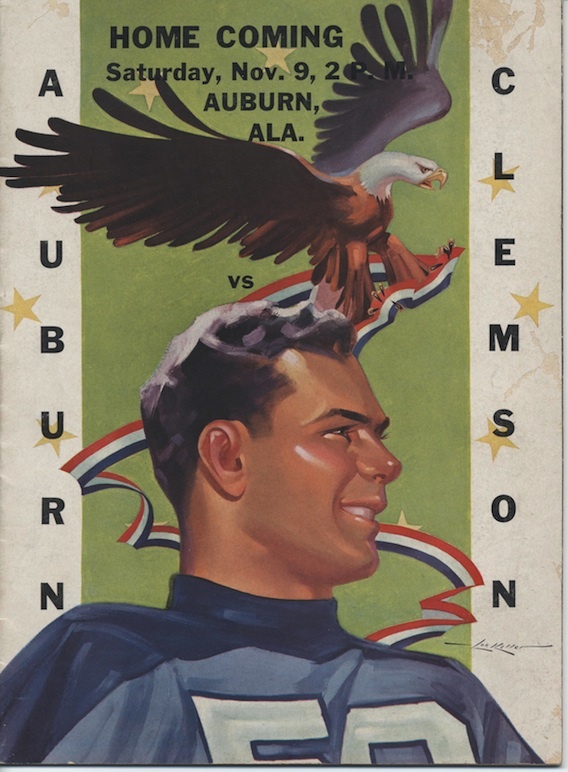 Related: Ever Phil Nee-drawn Auburn vs. Clemson program cover (even the dirty ones). 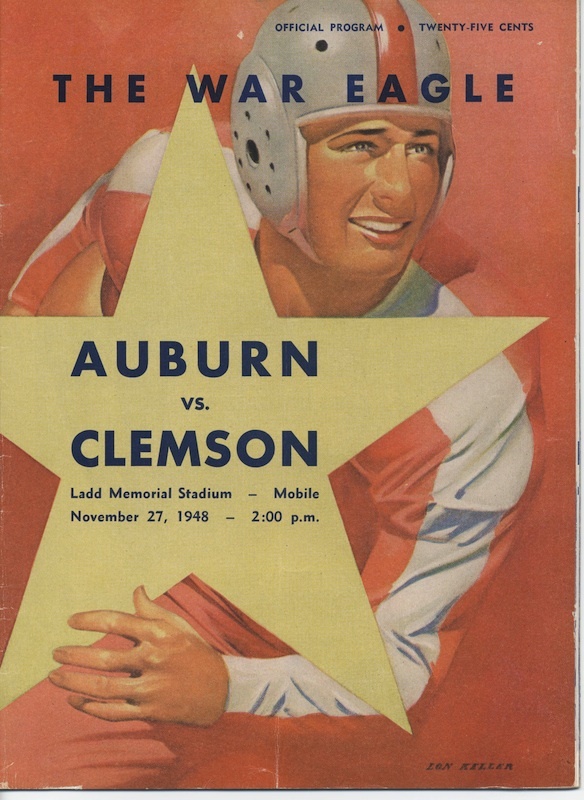 That orange AU uni from the ’48 cover is cool! 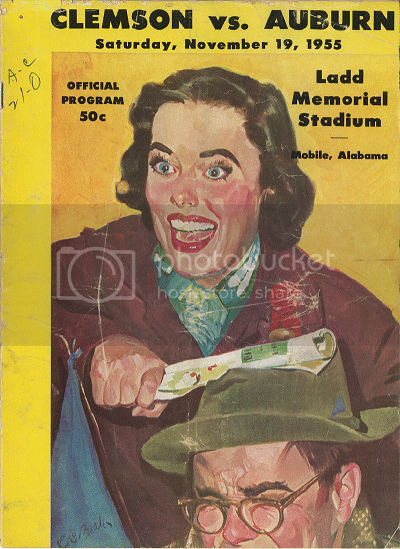 Poor dude with bug-eyed woman on ’55 cover. 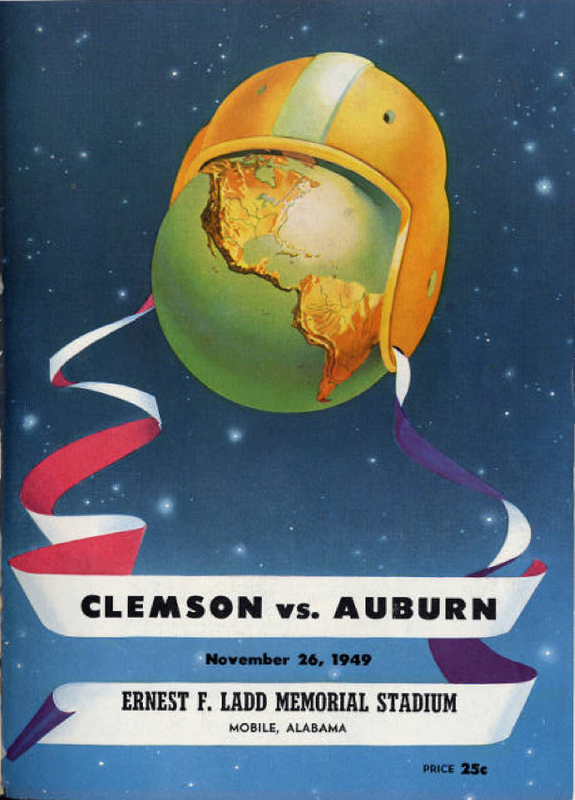 The top program (Nov. 9, Homecoming) was for the 1940 game, won by the good guys 21-7.